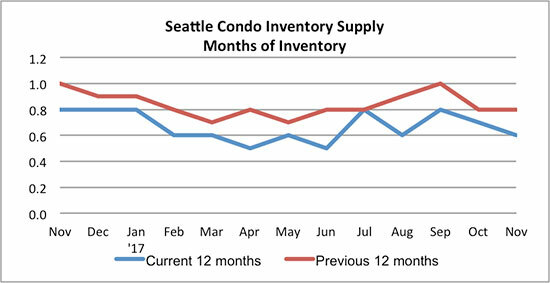 The Seattle housing market traditionally slows heading into the winter season so it is no surprise that inventory and sales activity dipped in November. 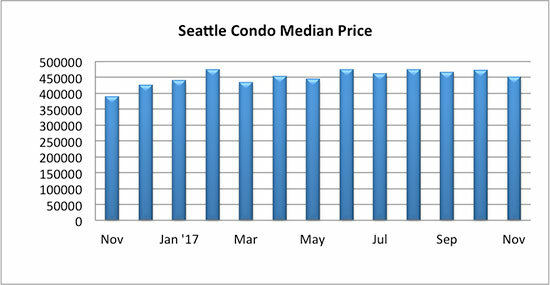 The pronounced limited condo inventory supply continued to have a positive impact on prices with the Seattle citywide condo median sales price increasing 16.25% year-over-year to $452,500 in November. 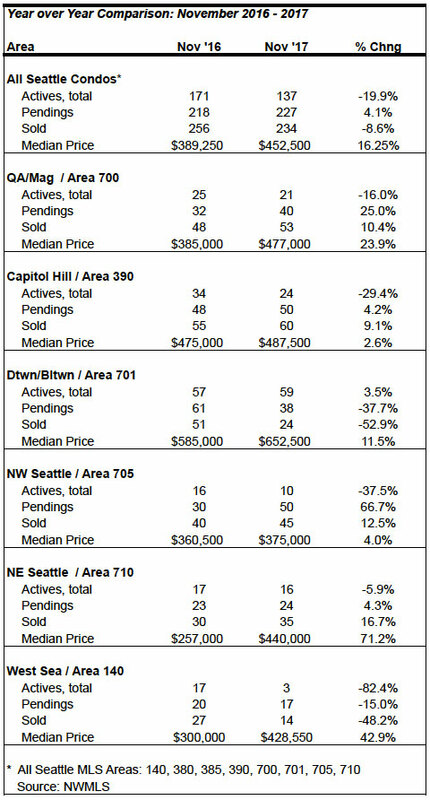 Every neighborhood throughout the city experienced an increase in their median sales price with NE Seattle and West Seattle leading the way (see table at bottom). 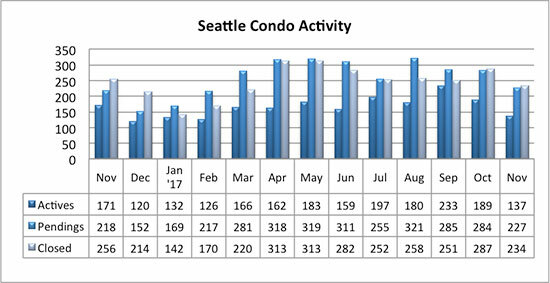 We have not yet reached a record-low supply of active Seattle condo listings for sale, though we are quickly approaching that mark. There were just 137 condo units listed for sale, which reflected a reduction of 19.9% compared to last November. The inventory supply rate continued its downward trend to 0.6-months of supply based on pending sales. The supply is a metric used to determine market conditions, and a rate of less than 3-months is a seller’s market. At 0.6-months of supply, we remain entrenched in a tight seller’s market. With little in the way of new construction in the pipeline to alleviate demand, Seattle will remain in a seller’s market for years to come. The number of pending sale transactions (listings in escrow) dipped 20% from the prior month, but did exhibit a slight 4% increase over last November to 227 units. 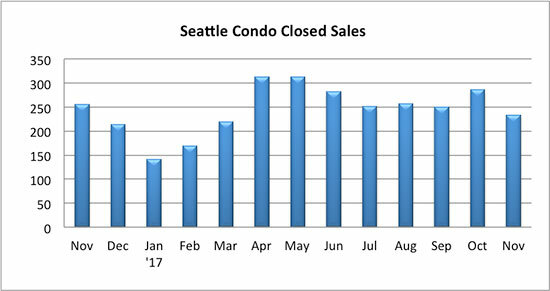 The number of closed Seattle condo sales fell to 234 units reflecting a one-month and year-over-year decrease of 18.5% and 8.6%, respectively. With listings being more limited during the holiday season, we’ll see a lower number of pending and closed sale transactions in December. For 2018, we will experience more of the same – low inventory, a competitive buyer environment and higher prices. 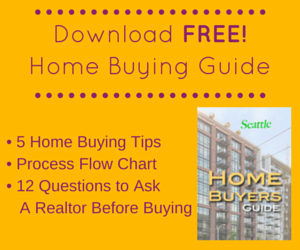 If you’re contemplating buying or selling, it’s an opportune time to start getting prepared. 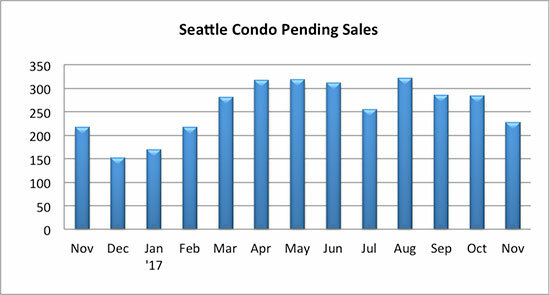 If you’re a owner, the ongoing market conditions and buyer demand presents a terrific opportunity to sell your Seattle condo. 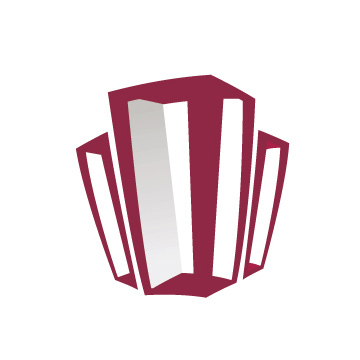 Want to know what your condo is worth or how we can get you top dollar? 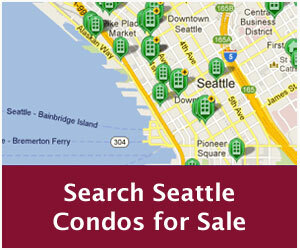 If you’re a buyer, let us help you navigate through Seattle’s crazy housing market with our effective buyer strategies.